This is a summary of all the commercial services we provide. Aquatech specialises in commercial Plumbing & Heating systems we service, maintain and repair Plumbing & Heating systems on a commercial and industrial scale. We provide commercial services throughout London, Bedfordshire and home counties . 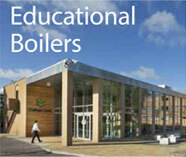 Boilers repairs, upgrades and installations. Electrical repairs ,upgrades and installations.